Calling all Loom loons! 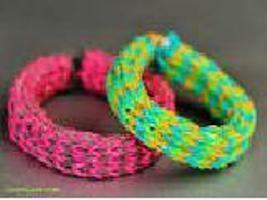 Create your own loom bands at Johnsonville Library on Friday 22nd August at 6.30pm. Make sure you bring along your own loom board, your materials and most of all bring along your ideas. We are going to watch some YouTube instructional videos plus gather lots of ideas from each other. It’s going to be heaps of fun so we look forward to seeing you there!